Welcome Jus! So great to have you here! Growing up, it was a tie between being a writer and being a chef. My grandfather was a chef, and I grew up fascinated by food. But when I wasn't in the kitchen, my nose was buried in a book. In the end, it was a close call. I applied and was a month away from starting at the C.I. A when I chose to pass on the spot to write. It really depends. My first book, TOUCH, was a little under a month from start to finish. Ruined was probably closer to four months. It was something totally new for me, and I'll admit I was a little scared going into it. Honestly they come up with themselves. I'm in no way a plotter. All organic, baby. The story unfolds around the character, and from there, the theme just kind of pops out. Nope. It's all writing, all the time, lol. Seriously though, I'm not happy unless I'm working on something. And generally, when I'm working on something, I get kind of addicted. It's hard for me to walk away. I sit down at like 6/7 (whenever my husband leaves for work) and then work till about noonish. I run any errands I need to, then it's back to work till midnight or so. Admittedly, sometimes it's hard to find a good balance. Like I said, I tend to get addicted. The fridge gets empty, the sink fills up. My family will let it go on for so long, and then be like, Okay, you're starting to grow mold. Step away from the computer! I'd be lost without them. Well, you have to have an interesting plot, but in my opinion, the biggest thing is the characters. No one is going to think a story is great if they can't connect with the characters. No one is going to connect to characters if they don’t care. Characters are the key. I think it’s that section of time, between the book being finished and release. I don’t care how many books I write, sending it out into the world is always the hardest, and also the best, part. 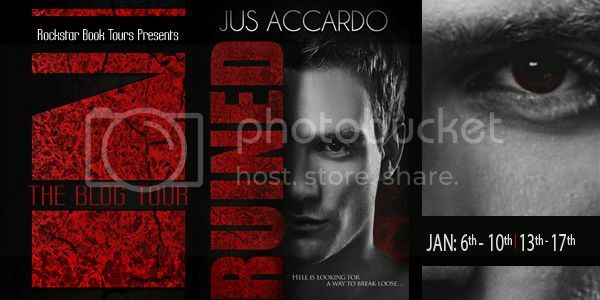 I feel like I'm going to get stoned for saying this *ducks* but right now I'm going to have to go with Jax Flynn (from Ruined). I knew I wanted an agent from the start. I didn’t know much about that end of the business, and wanted to start out with someone who knew the ropes. It all just kind of went from there. The family members that have read my work seem to like it. I always cringe a little when I know my mom is reading (I nearly died when she read Ruined) because of all the, um, kissy stuffs. I love to cook (duh) and hike. I'm also a major Word of Warcraft junkie. Keep at it. It only takes one person to kick you up to the next level. Look at it this way. Every word you wrote beings you closer to where you want to be. Do. Not. Give. Up. I used to have a great group, but everyone has kind of moved on. My mom reads all my stuff, but that doesn’t count. She's like, paternally obligated to love it, lol. I'm looking for a few beta readers at the moment. Thanks so much for dropping by today, Jus! Good luck with your book! 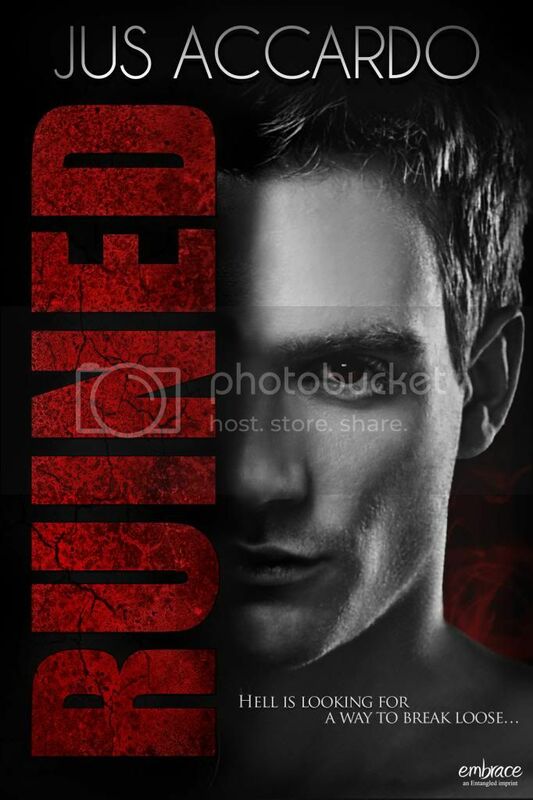 Looking forward to reading Ruined! Thanks for the chance to win. Want to put this on my TBR list and try to read soon. Thanks so much for all your great reviews and giveaways! You're welcome! Good luck and thanks for stopping by!